Recorder (Crime (class 2) and Civil). Legally Qualified Chair for NW Police region. Arden Scholar of Grays Inn and recipient of the Hilbery Award. 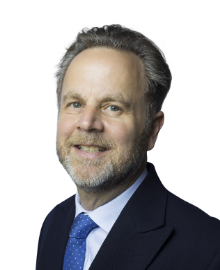 Described in Legal 500 as : “approachable Toby Wynn is the circuit expert on police law” and included in Chambers ‘Leaders at the Bar’ in respect of Police Work. Vast experience of all aspects of misfeasance claims against the police. Regularly instructed by five police forces. Has conducted more than 80 civil jury trials. Many employer’s liability claims, including numerous High Court Actions. Instructed in many claims and inquests arising from deaths in custody including three separate suicide claims and deaths of persons in transit, whilst in police custody. Involved in many claims concerning Police liability for negligence. Advised and conducted mediation hearings. Experienced in disciplinary proceedings both as acting for the appropriate authority and Counsel to the Panel. Experienced in all aspects of Judicial Review arising from policing matters. Expert on all aspects of disclosure and confidentiality. Co-author of Confidentiality a Practitioner’s Guide (Sweet and Maxwell). Author of 3 police law related Westlaw Insight Articles. Advised in relation to Data Protection, protection of informer’s identity, use of surveillance material and intercepted telephone calls, disclosure following complaint investigations by the IPCC, and seizure and use of legally privileged material. Acted as Independent Counsel in major criminal investigations involving the execution of search warrants at solicitors’ offices. Acted for Defendant Public Authorities in relation to claims under the Disability Discrimination Act and the Equality Act. Represented Northumbria Police in the leading case of Finnigan v The Chief Constable of Northumbria Police. Finnigan v The Chief Constable of Northumbria Police – Equality act claim against the police for failure to make reasonable adjustments when executing a search warrant at a deaf suspect’s home. Regularly lectures to the professions. Limitation, Fatal Accident Claims, Recent developments in Police Law, Disclosure in Police Civil Claims, Police Duty of Care and the Immunity Defence, Confidentiality in Psychiatric Practice, Sexual Offences Prevention Orders, The disclosure of Electronic Documents, Personal Injury Updates, Police Negligence Actions, Policing Public Disorder, Enhanced Criminal Records Certificates, Equality Act claims against Public Authorities. Author of “Confidentiality and Disclosure: A Practitioner’s Guide” (Sweet & Maxwell).